In October of last year seven paint stores in Santa Barbara County began collecting old paint from the public, at no additional fee. The program is operated by PaintCare, a group representing the paint industry, and was mandated through legislation passed in 2010. The legislation was intended to increase the convenience of recycling old paint and decrease the costs to local governments to manage paint collected through household hazardous waste collection programs. 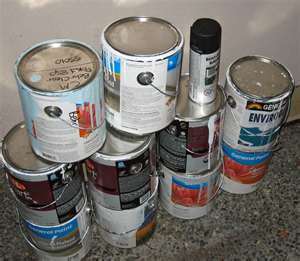 Paint manufacturers are required to either create their own paint collection program or participate in a joint program with other manufacturers. It is the first permanent product stewardship program for paint in the nation. As of November 2013, Santa Barbara County now has 15 participating PaintCare sites. Visit PaintCare’s website at www.paintcare.org for more information and to find the most updated list of participating stores.